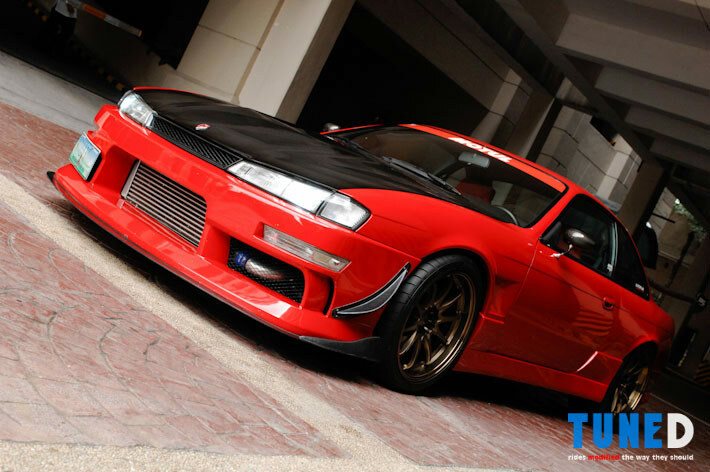 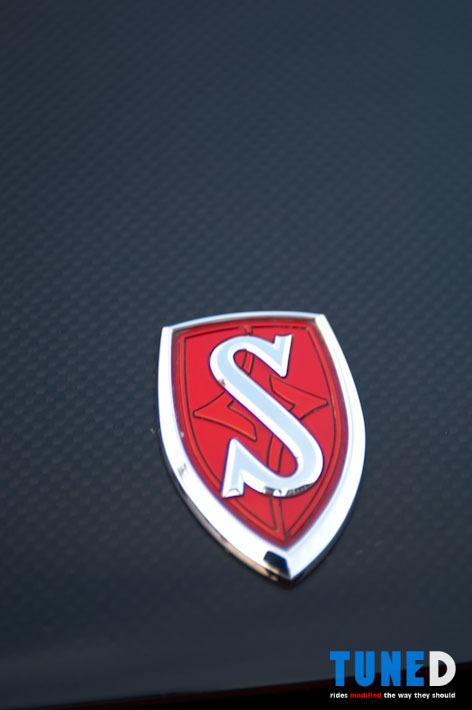 The Nissan 200SX, or more popularly known as the Nissan Silvia, has gotten a bit of a surge in popularity over the past few years. 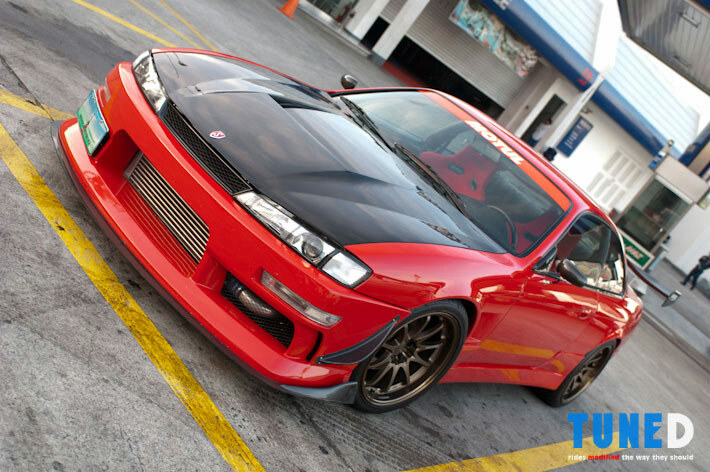 The emergence of drifting, as well as the anime Initial D, has made the 200SX a legend. 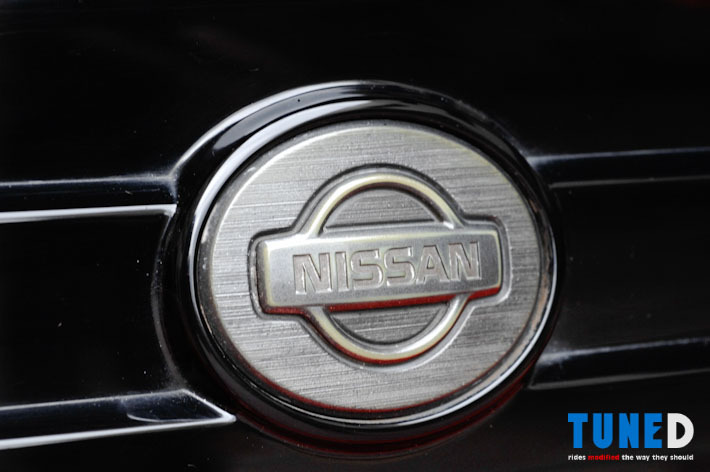 Here in the Philippines, 2nd hand units are commanding high prices despite the car being around 10 years old. 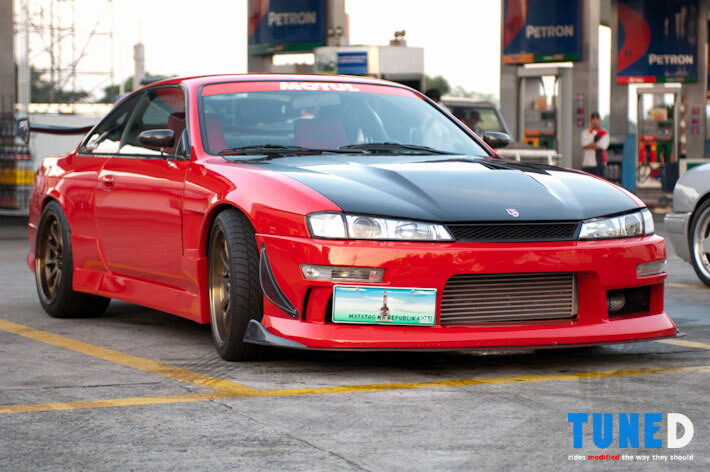 Being a 2 door coupe and seeing as how Nissan Philippines only imported a limited number of units, making a Silvia stand out from the crowd should not be too difficult of a proposition. 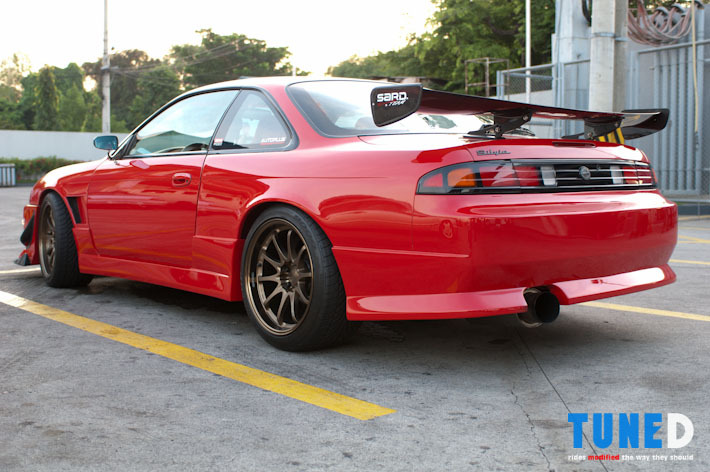 The S14 Silvia you see here is the result of meticulous attention to detail. 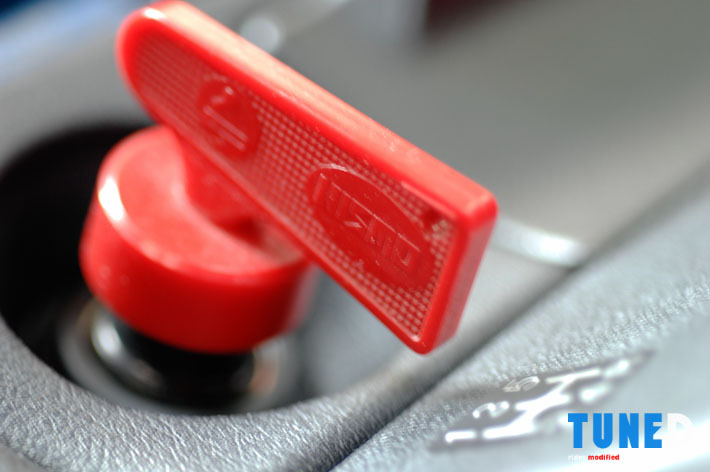 Starting life as a completely stock green unit, the car has transformed to a red hot coupe that is bound to turn heads. 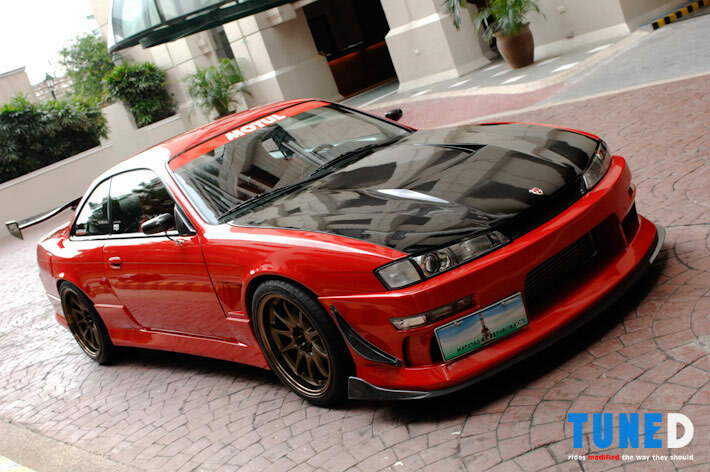 Since most units imported by Nissan were equipped with an Automatic Transmission, the first order of the day for this Silvia was a Manual Transmission conversion. 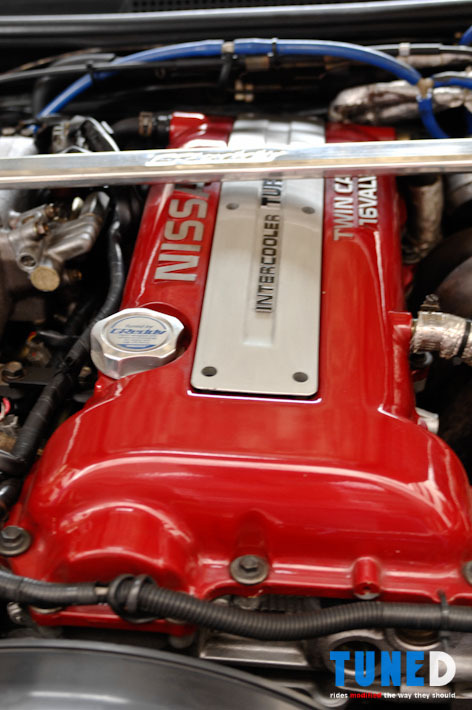 With that taken care of, careful attention was paid to extracting the most power out of the already potent SR20DET. 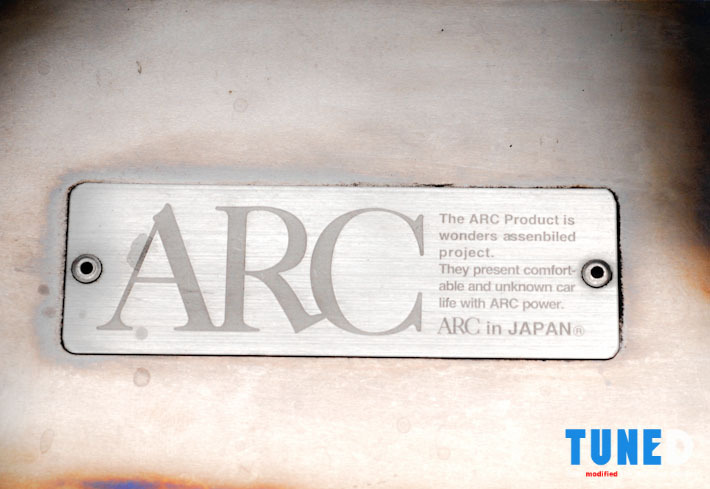 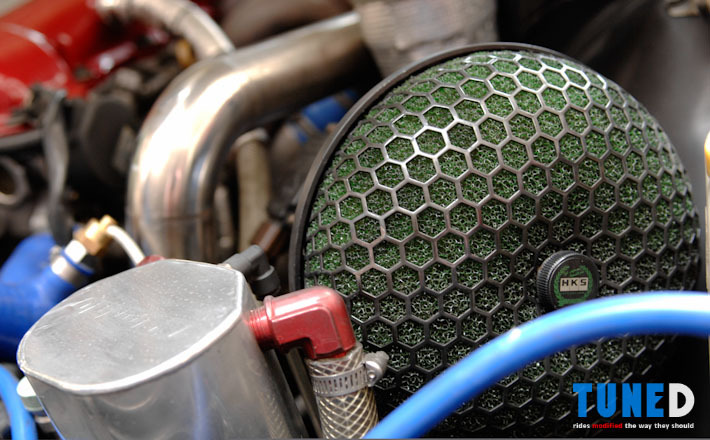 A Turbonetics T04E turbine is matched to a Greddy 24R Intercooler and Greddy E-manage to force feed the engine. 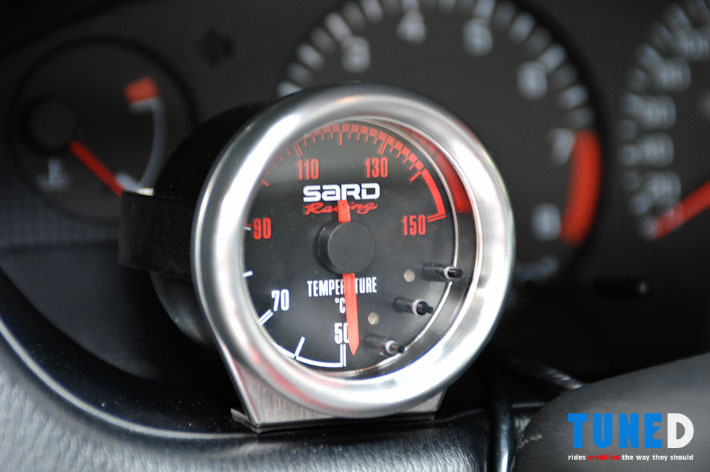 A Sard fuel regulator and Sard 550cc high flow injectors take care of the fueling needs. 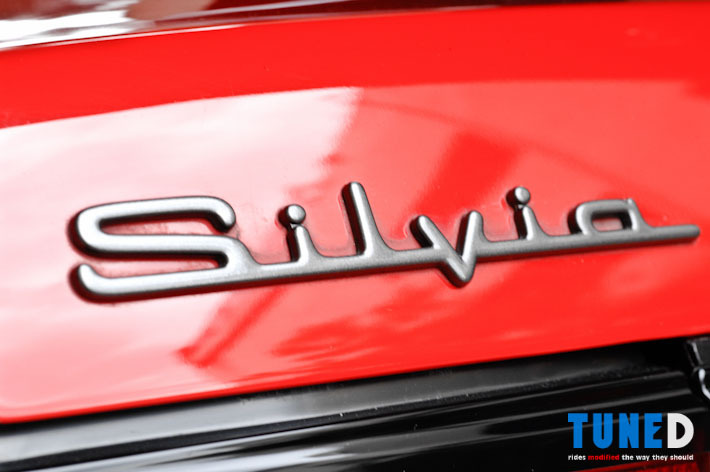 Finally, a full 3-inch exhaust system with titanium Espelir muffler finishes off the engine work, yielding an astonishing 308 horsepower and 298 lb-ft of torque at the wheels. 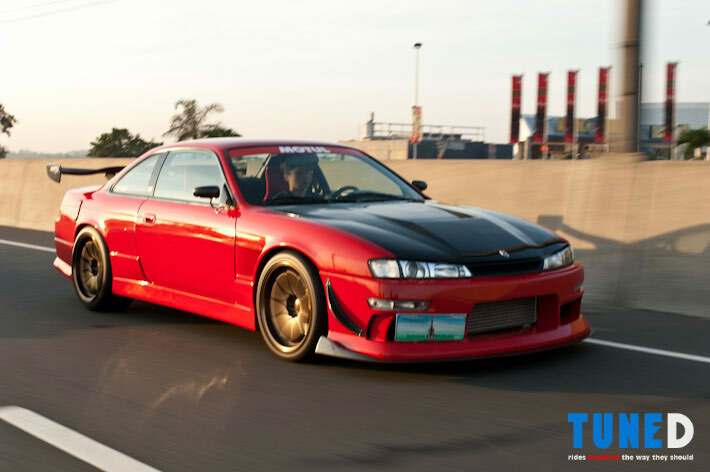 Power is nothing without control, but in the case of the Silvia, people usually want to lose a bit of control by drifting. 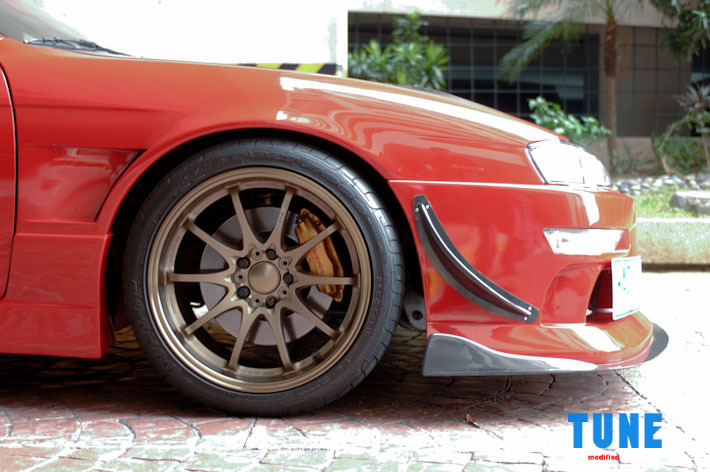 Tein Type HE Drift Spec Coilovers were installed on all four corners to better instigate oversteer. 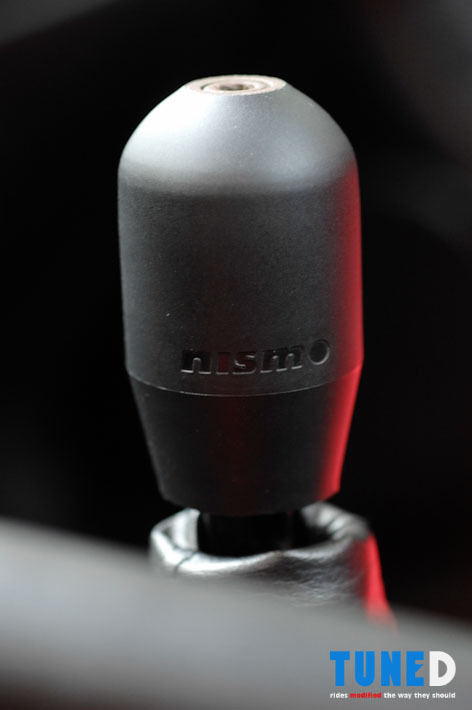 Tein, Nismo, and Greddy bars and braces add to the stiffness of the chassis. 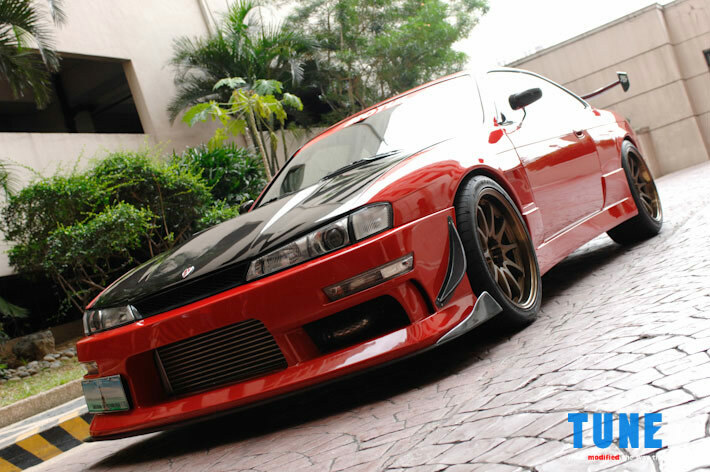 A Brembo brake system from a R34 Nissan Skyline GTR was installed at the front and coupled with Endless brake pads to ensure that if the going gets too tough, the brakes will always bite. 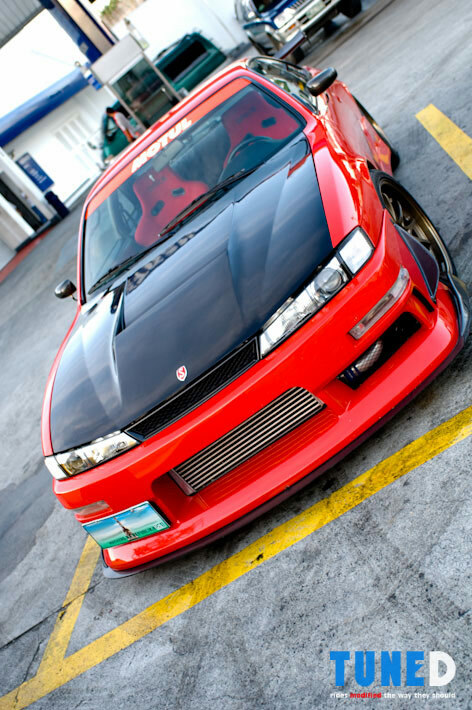 Arguably, the thing that sets this Silvia apart from most is the exterior. 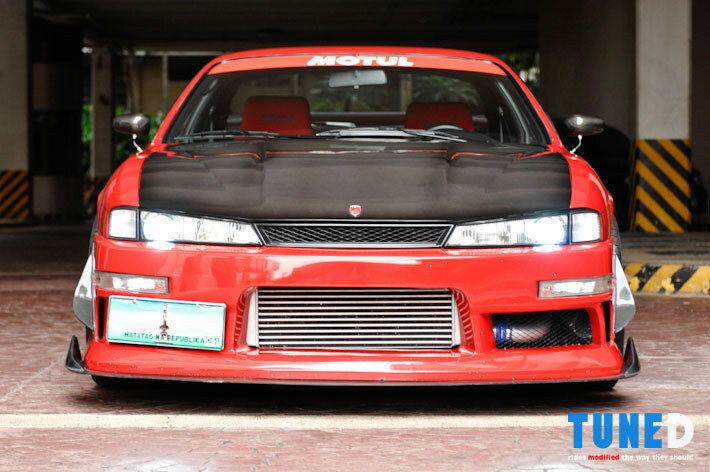 A full M Sports widebody kit including front and rear bumpers, front and rear oversized fenders contribute to the hulking stance of the car. 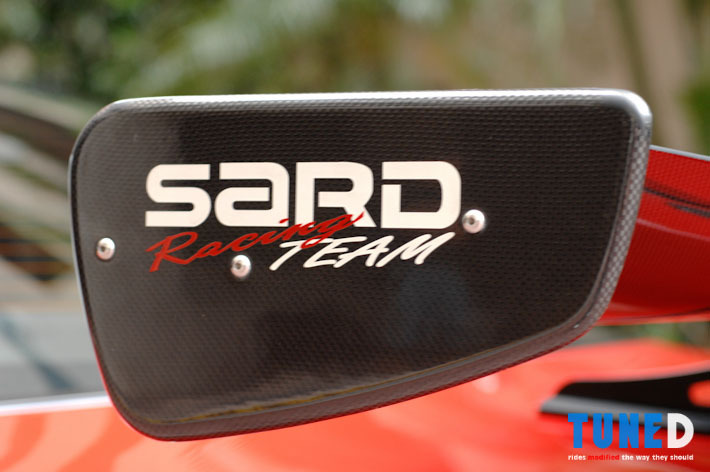 M Sports carbon fiber front canards and diffuser adds to front downforce while a Sard carbon fiber GT Wing adds downforce to the rear. 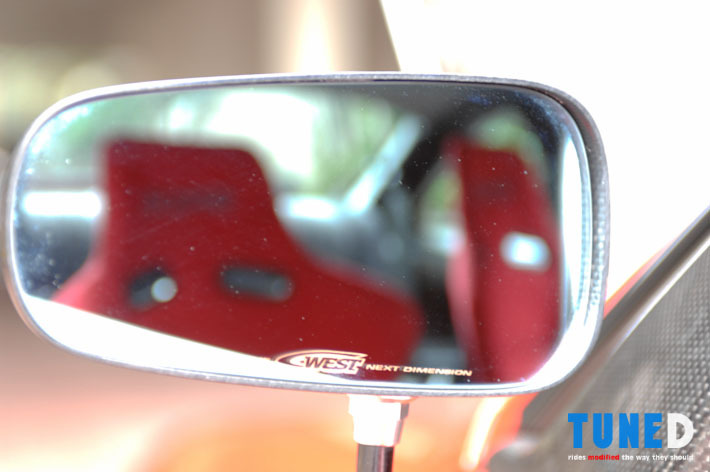 Finishing touches include M Sports carbon fiber hood and C-West GT style carbon fiber mirrors. 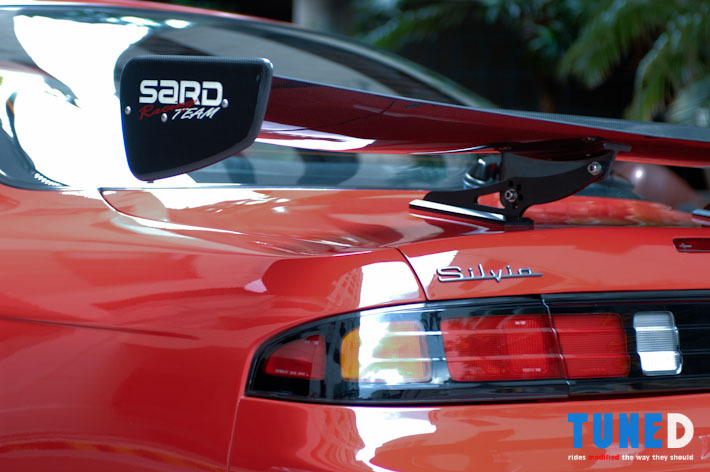 A bright shade of red was painted over the car by the professionals from Alex Car Restoration. 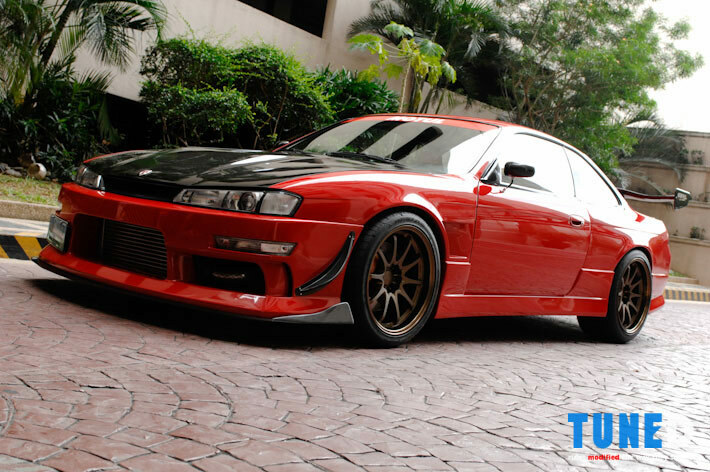 Finally, a set of rare and wide 18 x 9.5 Volk Racing CE28N wheels were mounted on the front while an even wider pair of 18 x 10.5 were mounted on the rear. 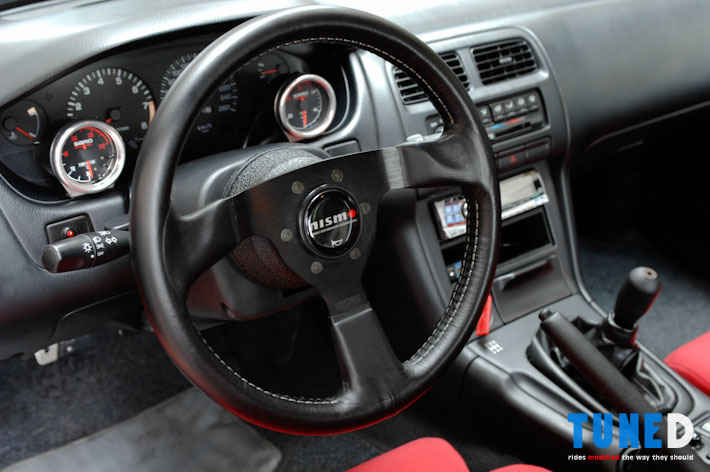 The interior is kept simple but all parts installed are of the highest quality. 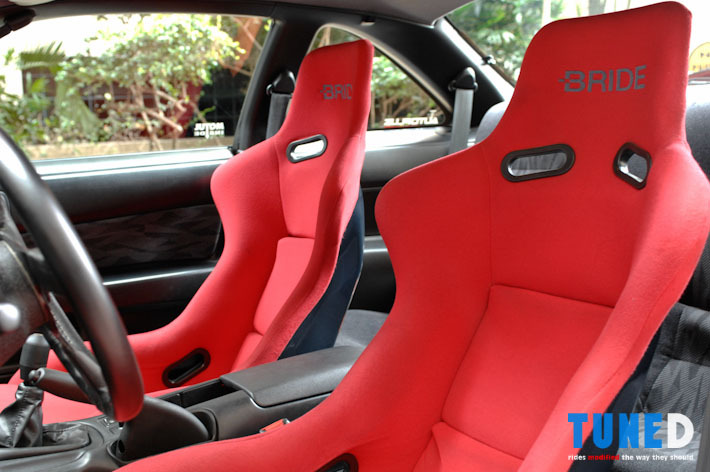 BRIDE ZETA II seats ensure that the driver and passenger are kept snuggly in place during wild oversteering maneuvers. 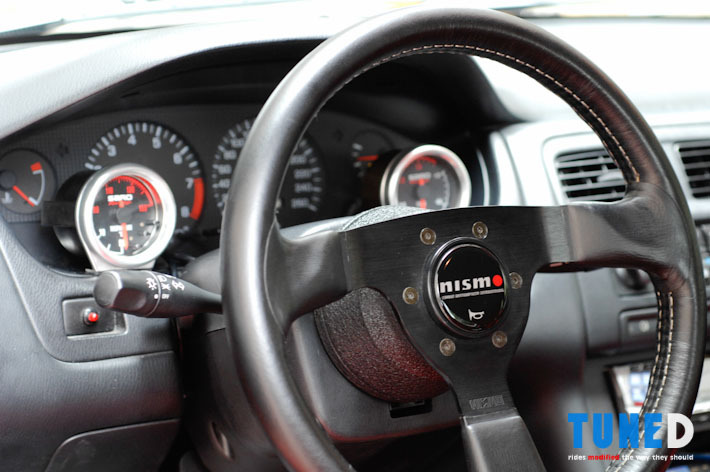 A Nismo JTC Steering wheel and Nismo GT shift knob is utilized while Sard gauges ensure timely monitoring of engine vitals. 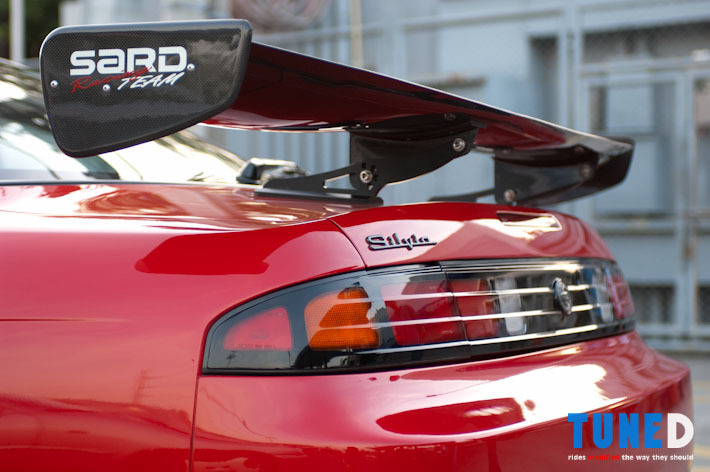 With a Silvia that looks and performs like this car, it’s no wonder that Nissan’s sports coupe is as popular as ever.